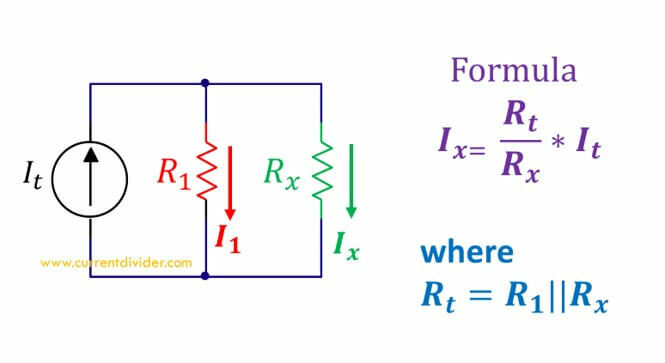 Example Statement: Two resistors having their values 25 ohms are 50 ohms are joined parallel. The 25 ohms resistor receives 10 A. 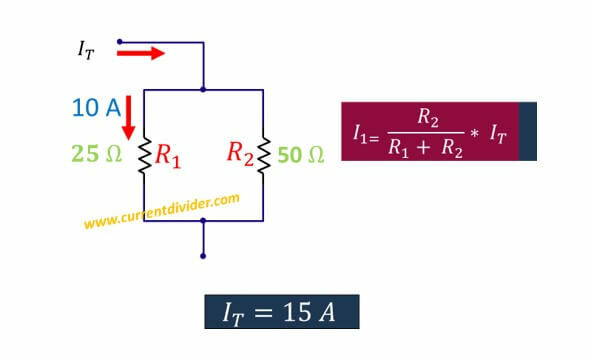 Apply the current divider theorem to Find the total input current.